Business Success Tips » Combat Fraud With Secure Payment Methods! Combat Fraud With Secure Payment Methods! Despite the rise of online purchases and e-commerce, credit card fraud is the one thing many people are concerned about. Although it hasn’t stopped online shopping, many people express concern about the safety of their identities and bank accounts, especially since credit card fraud costs the United States almost $8 billion every year. This isn’t great for merchants either, who lose money when fraudulent activity occurs. However, accepting credit cards is nearly expected for a merchant — your revenue will go up, your customer base will expand, and it’ll take less time to swipe a card than count out change. Secure payment solutions and payment processing service protection are certainly forefront in the mind of a merchant who accepts credit cards. How Much Does E-Commerce Bring In and How Does Credit Card Fraud Affect It? Worldwide, over $925,000 is made every 30 seconds through computer sales and almost $275,000 through mobile purchases. This is only increasing as mobile browsing becomes more common; it’s expected that half of online buyers are expected to pay via mobile devices for purchases in the near future. Indeed, even as early as 2012, Cyber Monday sales were already blowing up, with an almost 20% increase in growth. Almost $1,500 million was spent on Cyber Monday. Additionally, shopping online often comes with incentives and perks, especially if you buy in bulk — think “spend $50 for free shipping or $100 for free fast shipping” deals — so consumers tend to spend significantly more when they shop online. The average online shopper in the United States spends almost $80 per order, according to Statista research from 2015. On the flip side, in 2014, a little over $16 billion was lost globally from credit card fraud and in 2020, those losses are estimated to be at almost $36 billion. In 2014, there were more than 1,500 data breaches all over the world and over one billion data records were compromised. Over 50% of those were related to identity theft, almost 20% tried to gain financial access, and a little over 10% were looking to gain access to other accounts. On the ground, cases like Target are very much in the public consciousness. How Do Chargebacks Play Into This? In physical stores, merchants pay the price of fraudulent activities. Chargebacks occur when a cardholder files a complaint about fraudulent activity being made on their card. If you can’t prove that the transaction was legitimate, the bank takes back the cost of the transaction, plus a fee that can be up to $100. That hurts your business’s accounts for sure, especially if multiple chargeback fees occur. If you have too many, your business could be considered “risky” and fees may go up and your business’s reputation could be compromised. It’s a great way of protecting consumers from credit card fraud, but can hurt the merchant who may not be at all responsible. It’s in a merchant’s best interest to try and stop fraud with improved systems and screening as best they can. 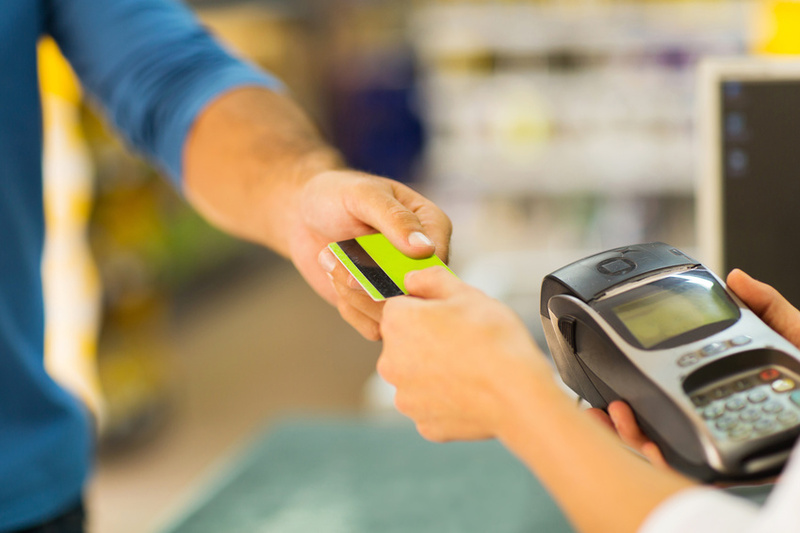 What Can a Merchant Do To Limit Fraudulent Activity? New data encryption techniques for cards are emerging and it’s in a merchant’s best interests to adapt to the new chip technology. Studies have shown that it’s more difficult for fraud to take place with the chip encryption and can reduce the fraudulent claims made by cardholders, saving the business money and giving cardholders an increased peace of mind. Installing secure payment systems can also be helpful, and asking for ID when a consumer uses a credit card, especially for large purchases can be another way to stop or limit fraud. If a merchant is online, it’s important for contact information and refund policies to be clearly visible, to inquire into any suspicious orders, and to be wary of foreign orders, among other things. It’s in everyone’s best interest to try and stop credit card fraud. As our card use grows and online shopping increases, the chance of fraud occurring gets higher. However, by having good methods in place to stop fraud and investing in the new technology that offers more secure payment methods, it’s possible to keep your business and customers safe.